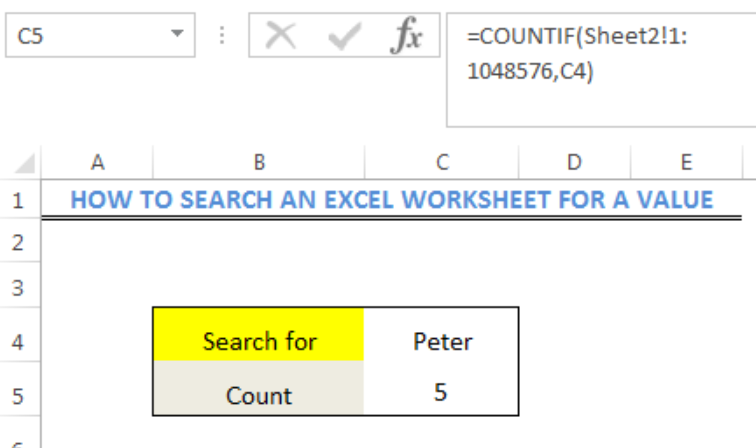 We can search AN EXCEL WORKSHEET for a certain value and get a numeric count for the number of occurrence of the value with the COUNTIF function. This article will walk through the process. We will type the data into SHEET 1 and SHEET 2. 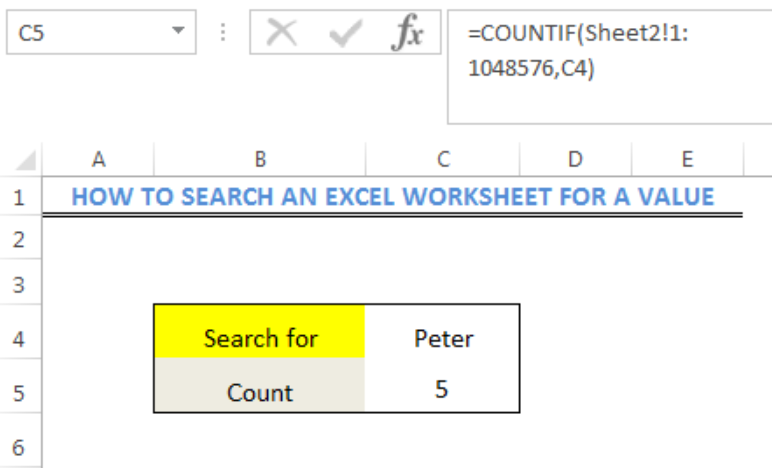 We are searching for the number of times the name PETER appears in SHEET 2. 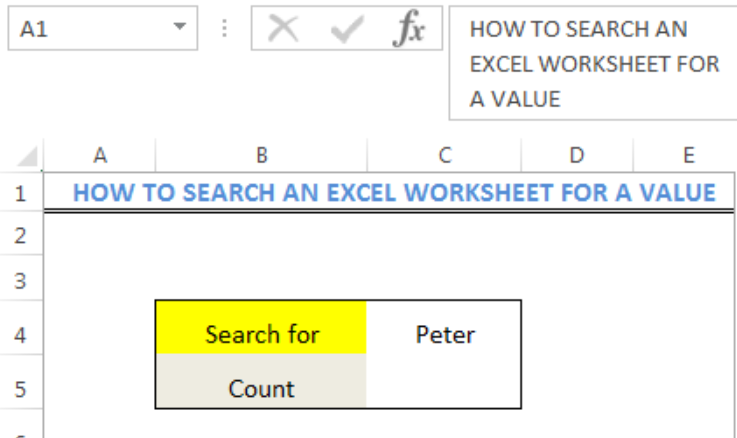 The value (PETER) in Cell C4 is searched for in the entire RANGE (SHEET 2) and the COUNTIF function displays the numeric result for all Cells that fulfills the CRITERIA. I am trying to search few headers in my spreadsheet and delete the entire columns. The macro should identify the row where the headers should be searched. Then it should search those headers and need to delete their entire columns. Can anyone help? 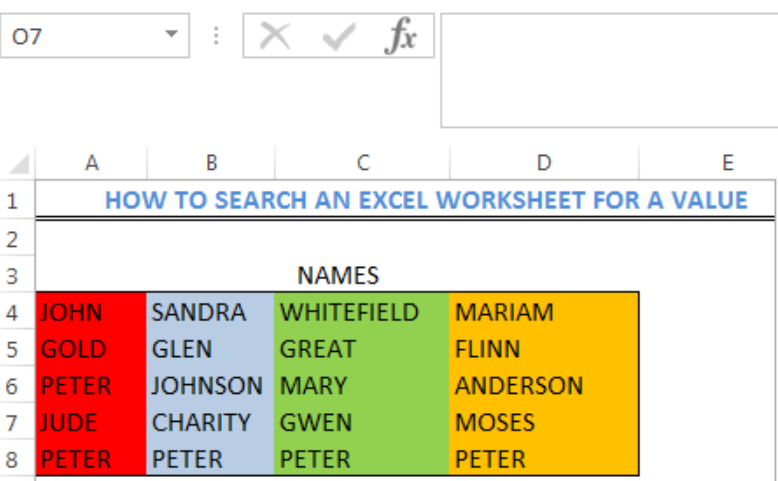 I would like to put in or search for a date within one worksheet and then for that data to be extracted in the main Master Daily Production worksheet. i Need to create an automation to search an entire row and fins some data to out put. I need a formula to look at two excel spreadsheets, search through rows/columns for a similar value and to print the entire column/row and append unique values at the end.